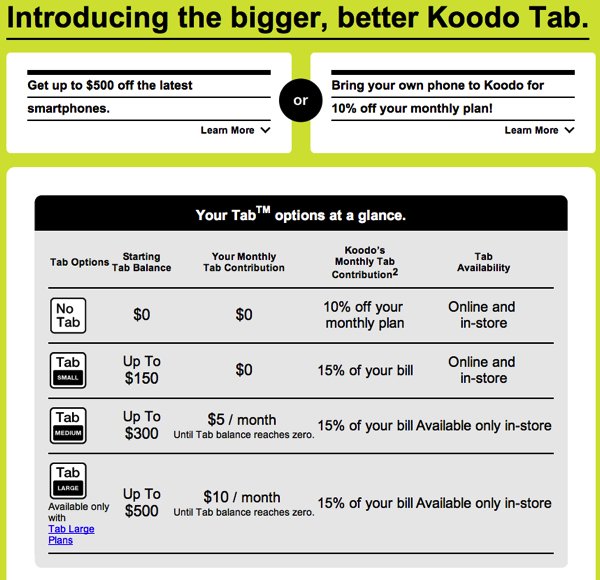 First leaked last week, Koodo’s new Tab options have launched today and users can see the differences on the company’s website. Instead of a fixed-term contract, Koodo Mobile lets you run a tab towards the price of a new mobile phone. If you’re eligible, it’s a flexible way to get a phone without paying the full retail price, and without an annoying contract. It’s also a way to earn a brand new phone down the road. Essentially you will be paying off your phone with monthly contributions towards your monthly bill until the device balance reaches zero, which the company now says will occur in no later than 24 months. A detailed FAQ is available here for those interested. 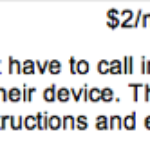 Earlier this morning, Koodo finally launched Visual Voicemail for the iPhone.